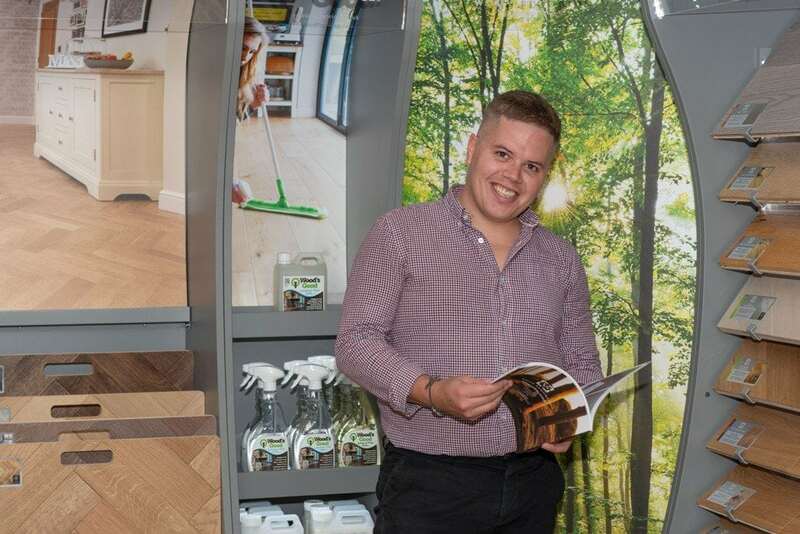 If you live in the Buckinghamshire area searching for your perfect wood floors is now even easier as longstanding V4 approved retailer, Bucks Flooring, has installed our latest display stands in their showroom, showcasing our huge range of wood floors for you to experience firsthand. 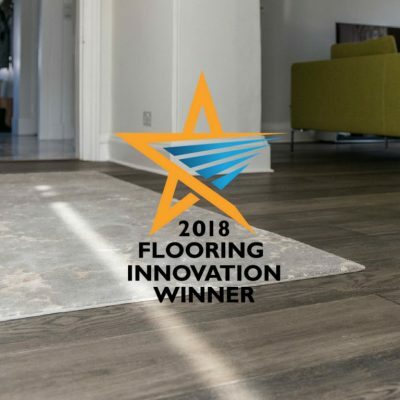 Their new destination display area is an impressive introduction into the full range of V4 wood floor styles and finishes that are now available to meet the latest wood floor trends. We have designed the new stands, which will feature in a host of destination showrooms across the UK, to showcase larger sized samples so you can really get a feel for each of the wood floor finishes in our extensive collections, along with some inspiring installation pictures of some of our floors in real life homes. 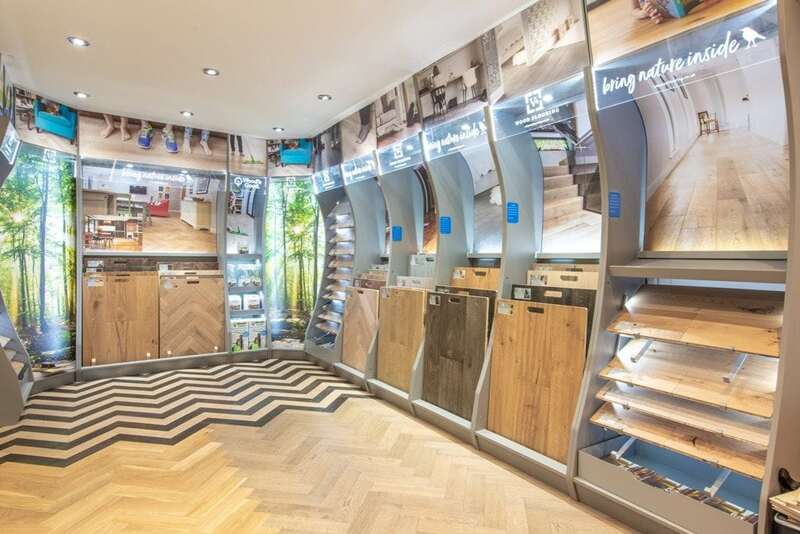 The latest collections on display feature everything from modern herringbone, extra wide character oak floors, light and grey toned wood floors and our Panneau wooden wall panels. 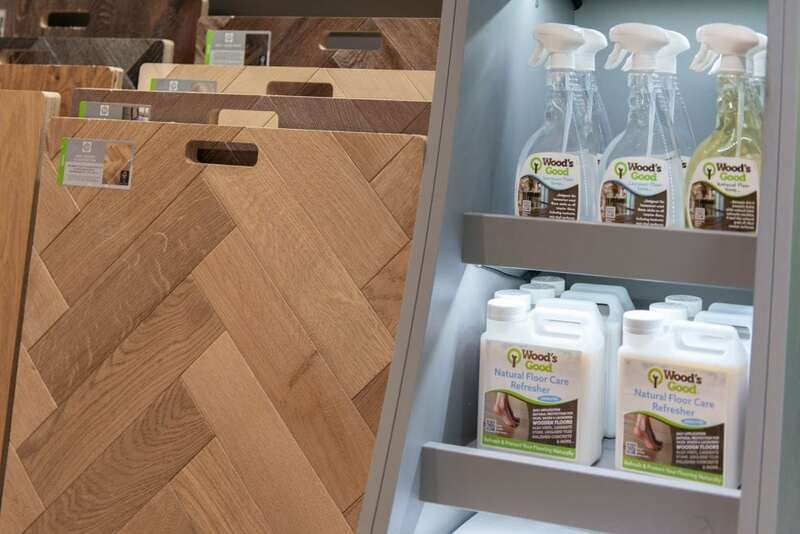 You can also buy our easy to use and wood floor safe Wood’s Good cleaning products direct from the stand. 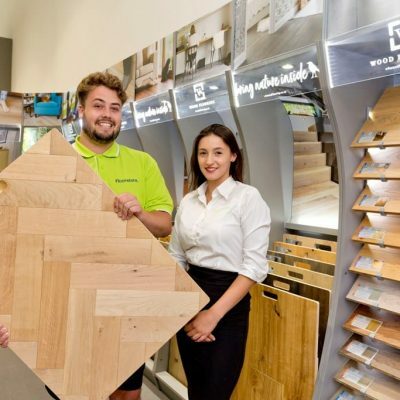 Bucks Flooring, a family owned company who have been specialising in flooring since 1981, has become one of the premier independent retailers of carpets & flooring in Buckinghamshire, and with our new stands installed continue to be local experts when choosing and installing your V4 wood floor.